Food is everything – from the fields to the grocery store, from our plates to our health, from community to personal and professional re-integration. We all need to eat, every day. Because of that, being trained in any aspect of food production, preparation, or nutrition, will provide a foundation for one’s life that a person will be able to stand on forever. That is the idea behind our guest today. This amazing non-profit offers foodservice training as a way to re-integrate people back into society. And, as we will learn, have society benefit from it in a very tangible way in return. Since 2009, Create Common Good has trained 725 individuals. 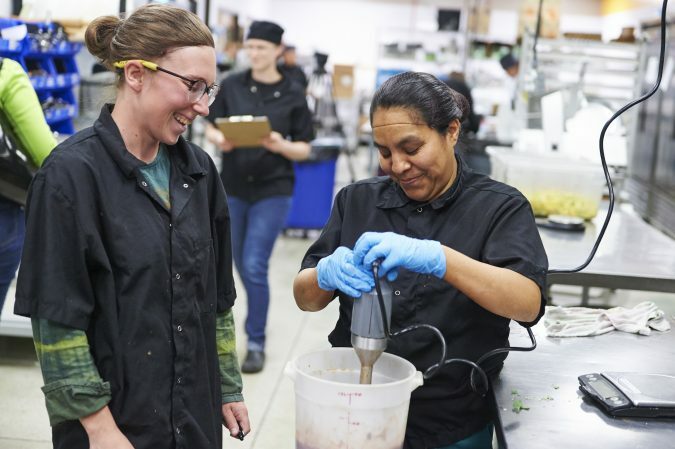 In 2018, the graduates saw an average job placement wage of $10/hr, (Idaho’s minimum wage is $7.25) and a 93% job placement rate.